Are you on the lookout for affordability? Then you must definitely look into best monitors Under 150. These monitors are obviously bear minimum in terms of features, but they are awesome for casual entertainment and work. You can find several monitors in this range. Display, screen size, external ports, contrast, resolution and almost everything is similar to what is offered in much expensive products. This product by product list will help you decide which one to buy for yourself. This monitor by Acer is surely worth a try. It is one of the one of the best monitors under 150 and the reviews prove that. 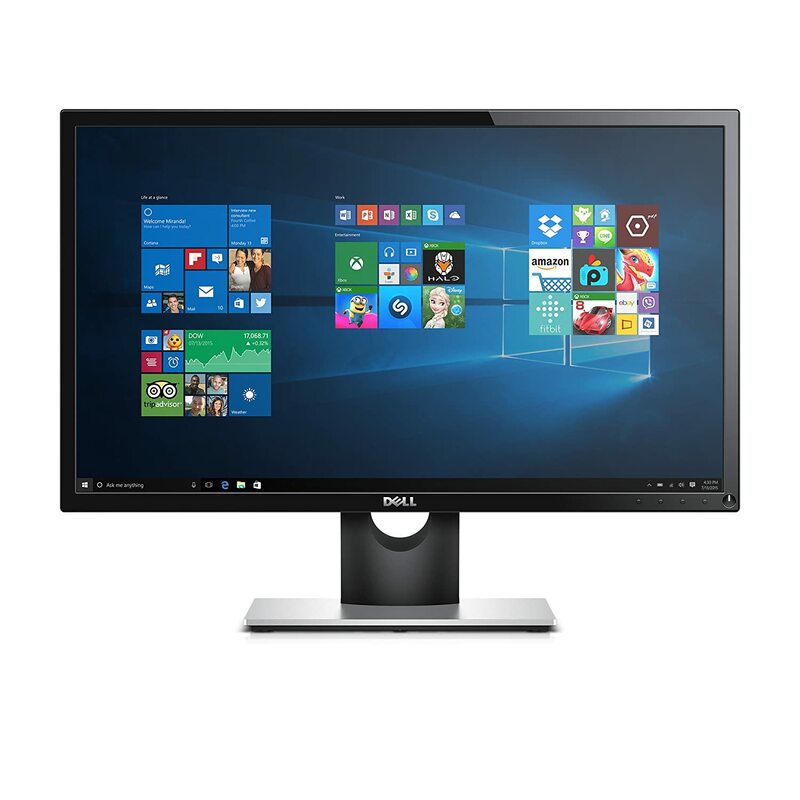 It has an astounding display with a resolution of 1920 x 1080 and in full high definition. The large screen of 23.8 inches combined with zero frame size gives an ideal view and minimal distractions. Tilt of 5 to 15 degree both forward and backward makes it even easier for the user to adjust the screen as per his or her requirements. Built in IPS panel offers premium color performance and flawless display. Response time of 4ms makes it a good attraction for gamers who want to view those fast action scenes without any interruptions. Attaching other multimedia devices like smartphones is not an issue because the monitor has built in VGI, HDMI, DVI and display ports for this specific purpose. Blue light filter is what prevents the usual eye strains that customers complain about due to prolonged usage. Acer displays detailed images so that you can carry out both your work and entertainment on this monitor, and that too in reasonable cost. The customers who used this liked the overall display, look and the fact that there was no bleeding from the sides of the screen. The only downside to this was that there was no VESA mount hole which came as a shock to many. All in all, about 70 percent of them gave it a full 5 star review. Acer-G series monitors have a super slim design with the best combination of features, and this you are getting at a price much lower than $150 range. It has a large 23 inch display in full high definition to give users the best experience, which is further enhanced with a screen resolution of 1920 x 1080. Moreover, a monitor’s response time gives an idea of how fast or slow will moving (motion) scenes be played and in this monitor a response time of 5 ms reduces interruptions to deliver high quality data. Aspect ratio of 16:9 is good enough to give a wide cinematic view to the user. On the base is a sturdy round shaped stand to make sure that wherever the monitor is placed, it stays still in its position and doesn’t wobble like other monitors, which people usually complain about. On top of that, it is even eco friendly which means that least amount of power will be consumed. Connectivity is possible through the VGA and DVI ports that are provided. Customers liked the bright colors, low power consumption and also the good thing that their packaging is all recyclable. The sleek and stylish design further got their positive review. the only problem was with the stand as some found it as built of cheap quality, other than this about 62 percent of the users gave it a full 5 star review. One of the most beautiful monitors under 150. The large 25 inch screen with IPS panel will surely be a treat for you and your family, whether it be watching videos, shows, playing games or even doing some official work. The display is in full high definition backed up by an amazing resolution of 1920 x 1080 pixels, which guarantees that pictures will be shown in their finest representations. Furthermore, a dynamic contrast ratio of 100 million:1 is what ensures that all blacks and whites will be displayed in their deepest tones, thus alleviating the picture quality. HP enhance+ resolution feature is what fixes the few distortions that may occur and gives clear sharp images. VGA and HDMI ports are already built in which means that you can transfer this fun experience to other multimedia devices, easily and quickly. 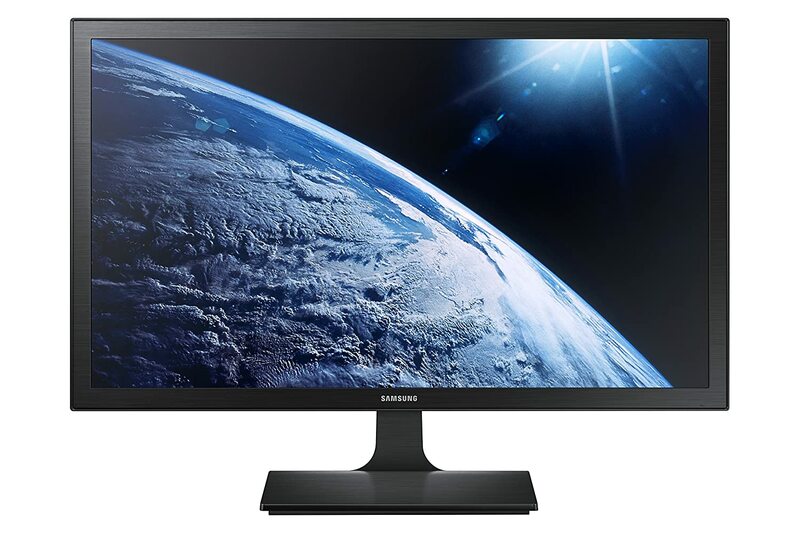 This monitor is allowed a tilt of 2 degree forward and 25 degree backward, this actually comes as a huge advantage because this way consumer can easily adjust the view to whichever position they are in. the overall design is very slim and takes up least amount of desk space. On top of that, it is certified with energy star so now its users will not have to pay the big electricity bills. Customer reviews were mostly in favor of this product and given even 6 month use of it, no one had any serious complain against it. All in all, about 76 percent of the users gave it a full 5 star review which is actually a great response. One of the all rounder best monitors under 150. Firstly, coming to the stylish look of the monitor, it is super slim and has a glossy texture. What lifts up is the black piano finish on the screen and silver aluminum touch on the stand, which together gives a very modern feel to it and looks pretty wherever it is placed. The stand is there to give support to the screen and prevent it from either falling or wobbling. The buttons are placed right on the bottom of the bezel due to which user can easily access it without having to move the monitor around or anything. Large screen size of 23.8 combined with thin bezels is guaranteed to give the users a maximized view. Display is full HD and has a resolution of 1920 x 1080 which assures that the best of colors will be shown. A viewing angle of 178 degree means that people no longer have to change their positions to get clear view of the screen. Dell is certified with an energy star which means that users will save on a lot of power consumption in terms of low electricity bills; in addition to that there is a powernap feature which puts the monitor on sleep when it is not in use thus saving on even more energy. VGA and HDMI connections are easily compatible due to the built in ports. Customers were happy with most of the features but one thing came as a huge shock and brought all the ratings down, it was that there were no VESA mount holes. Due to this only 54 percent of them gave it a full 5 star review. Samsung has always been known for their extraordinary products and features. This time Samsung has tried to target the middle class users. It is definitely a breakthrough in picture quality due to its magic upscale technology. Wide viewing angle of 178 degree gives you more ease because with this you no longer are forced to keep changing your positions just to get the perfect view. In such an angle, everyone in the room will get the same view. Eye saver mode is like a blessing in disguise for users who are used to working for longer hours or watching it for entertainment. The eye save mode reduces flickering and the blue light just so the eye sight of the user isn’t much affected and he or she doesn’t face the usual eye strains or headaches. There are some customers who love technology but they are also worried about the possible environmental effects that it may have, with Samsung that is no longer an issue. The eco saving plus features reduces power consumption and also saves on the costly bills. The brightness of the screen is kept on auto and changes as per the lighting conditions in the room. With ultra fast video response, gamers can enjoy all their gaming without any major interruptions. Among the users who used this product, around 68 percent of them gave it a full 5 star review based on the perfect size, classy design and a satisfying picture quality. Picture quality wise, this is one of the best monitors under 150. One of the best monitors under 150. This monitor is from the famous KA-SERIES by Acer. This multiple feature monitor is available in the market for a price of above one hundred bucks. It has large 24 inch screen with full HD display and resolution of 1920 x 1080. Aspect ratio of 16:9 compliments the large screen and ensures that user gets the best wide view. Quick response time of 5 ms means that all moving images and videos will be played without any distortion or issues such as blur. You can take benefit of the flawless performance on your small devices like smartphone and tablets; all you have to do is extend the connection via VGA and HDMI ports that are made available. People who are used to working for prolonged hours no longer have to worry about the eye strains or feelings of fatigue due to the blue light technology which reduces the extent of this light by great percentage. A tilt of 5 degree forward and 15 degree backward means the user can adjust the view as per his or her requirement. 100 million: 1 contrast ratio displays the deepest of blacks and whites to enhance the overall picture. Acer has kept to their word of being sustainable and thus has introduced the energy star compliant display which consumes minimal energy and reduces environmental impact. 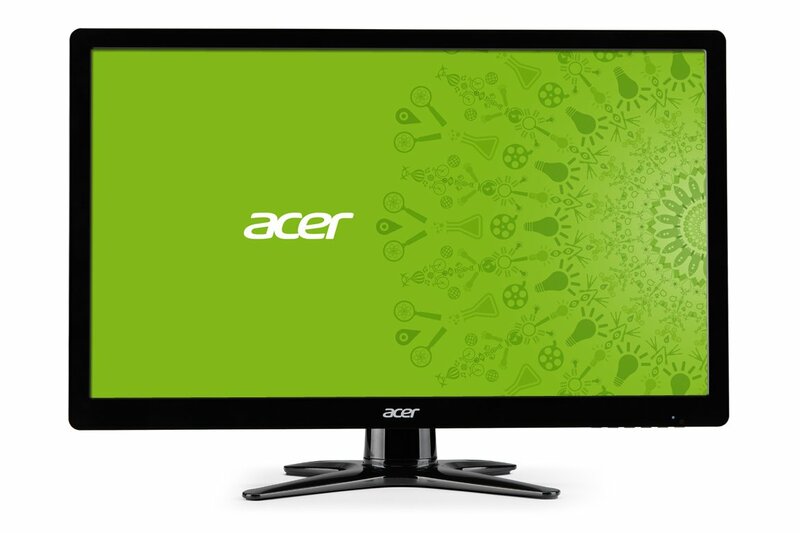 With Acer monitor you will enjoy the ultimate multimedia experience with a cinematic view. Customers were satisfied with the picture quality, large screen size and environmental concern. The installation however was difficult as there was no clear manual provided. All in all, 65 percent of them gave it a full 5 star review.